Super Stork Industrial Power Tools Ltd is the UK’s exclusive importers of Rupes Power Tools for the vehicle body repair industry. Professional Industrial Power Tools, built to the highest quality and stronger to last longer, ensuring you get the job done quicker and easier. Super Stork supplies an extensive range of quality assured products including fixed dust extraction systems, mobile dust extraction units, sanders, professional polishers, air and electrical power tool products. 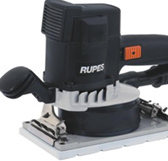 With over 60 years experience in the power tool industry; Rupes provides the professional operator, with innovation, technologies designed products to meet the increasing demands required in today’s industry.